Hey, friends! It's time for Tell All Tuesday again with Jayme and Diana. It's hard to believe this will be the last one of the summer! I have really enjoyed linking up, learning more about some amazing bloggers and all of you, and making some great new friends. With Back to School on the horizon, this week's topic is a great one. The start of this year is an extra special one for me. My baby girl is going to Kindergarten. (cue the tears) This girl. 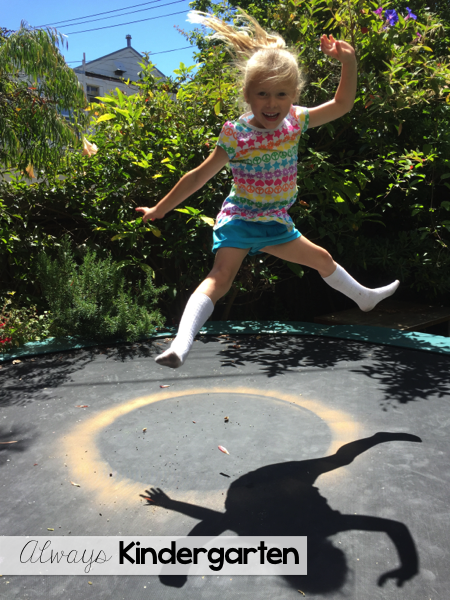 She's just the best and I'm so proud to be her mama. It's going to be so amazing to have both of my girls at school with me this year. A GOAL: I consider myself a pretty organized person. It drives me bananas when I know I have something and I can't find it. But with our school construction, things have gotten a bit out of whack and I haven't had the time to get it together. I'm hoping that I can get things RE-organized this year and really know what I have and where to find it. A WISH: As a Kindergarten teacher, there is a lot of pressure on us to start our students off right in elementary school. 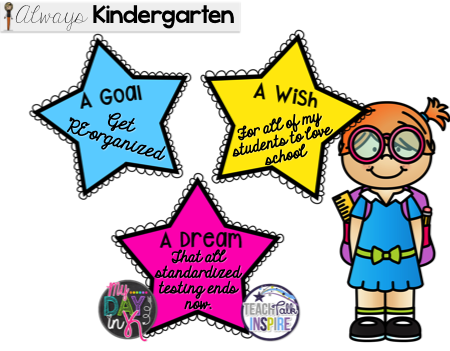 I have this wish every year for my students. I want them to LOVE school. If we get to the end of the year, and my students love it, then I've done my job. 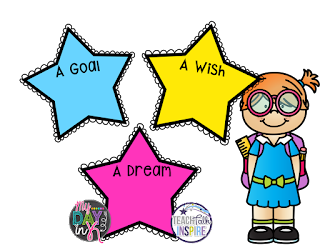 What is your goal, wish, and dream for the new school year? Teach, Talk, Inspire & My Day in K.
I love your Dream! I dream of that day too! Your little girl is SoOoOo cute!! I am excited for you to have both your babies at school with you! I LOVE your wish!! I feel like it is so important for kinder to LOVE school! If they start of loving school it will be easier for their love to continue as they move on to first and second. Your daughter is such a cutie!! I'm so excited for her, kindergarten is the very best!! Plus she's in the same school as her big sister and her mom, that's awesome!! I love your Wish and Dream, I couldn't agree more!! Cool pictures!! I pinned a few photographs. I will use these ideas in my Phoenix pre-k class. I always try to use new activities in my class so I keep searching online for the ideas.